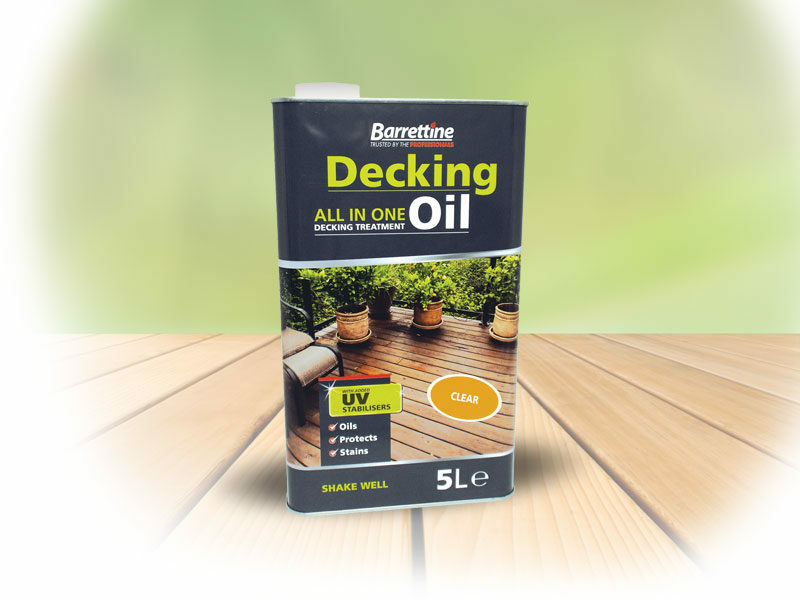 Specifically formulated for use on pressure treated and preservative impregnated timber offering superb protection to deck boards, deck tiles and balustrades. Also achieves a superior finish to summerhouses, sheds and fences. Non flaking and its water repellency helps prevent timber from splitting and cracking. Drying times: 48 – 72hrs Coverage: 1 litre treats 6-8 metres. Oils, Protects and Stains all in one treatment. Translucent finish, wood grain pattern is visible. Non flaking and its water repellency helps prevent timber splitting and cracking. Dry film preserver helping stop mould and fungi growth. Harmless to plants and pets when dry. Available in 5 colours and clear. For unpreserved/untreated timber. We recommend using Barrettine Universal Preserver first as a primer.